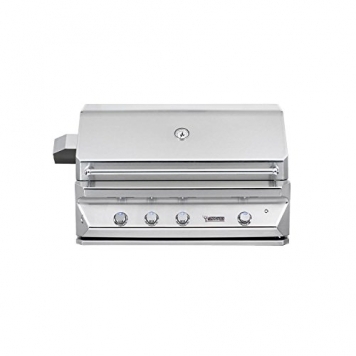 The Twin Eagles built-in 42 inch natural gas grill features three stainless steel burners. 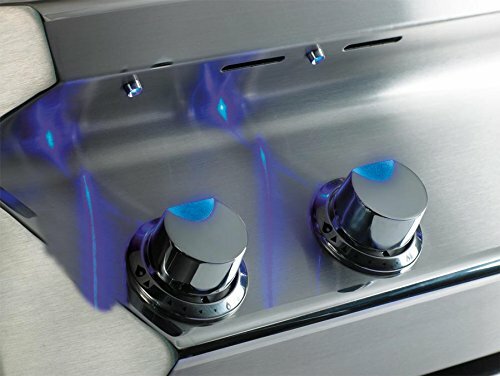 Each burner outputs 25,000 BTUs for a total of 75,000 BTUs. 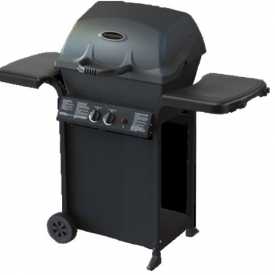 The advanced features of this grill are sleek and user friendly. This grill utilizes radiant heat from top quality ceramic briquettes by mixing it with direct heat for more thorough and flavorful cooking. The briquettes distribute heat uniformly at the same time as the direct heat allows your grill to preheat faster and get hotter at the same time as the use of less gas. 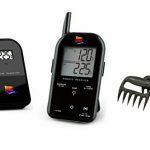 This even distribution of heat also allows your grill to succeed in the highest optimal temperature. 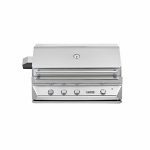 Each 25,000 BTU burner is contained independently, which allows you to cook a couple of food items at different temperatures or efficiently and effectively operate one zone only for a small volume of grilling. Grates on most grills serve one purpose, to hold your food. Twin Eagles grates if truth be told aid in the grilling process by absorbing, retaining and conducting heat into your food. The thicker (heavier) the grate the more heat it’s going to absorb and retain. Twin Eagles’ 3/8″ hexagonal stainless steel rods are over 20% more mass than most grates and 10% more mass than 3/8″ round rods. The increased mass and food -to-surface contact created by the hexagonal rods adds up to the perfect grilling experience. 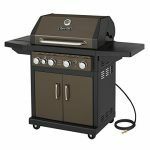 Furthermore, included with this grill is a smoker box, a warming wrack, a temperature gauge, a 25,000 BTU sear zone and an infrared rotisserie kit with a 14,000 BTUs back buner; at the same time as one of the crucial sleek features of this grill comprise of a heat controlled hood, interior halogen lights and decorative stylish blue exterior LED lights. 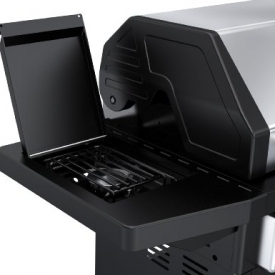 All of this coupled with a user friendly hot surface ignition system lets you enjoy the ease and reliability of grilling in your own outdoor kitchen. 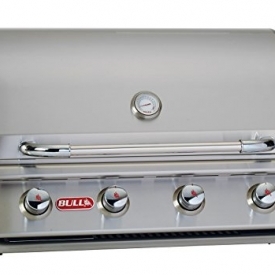 Knowing that our grill has top of the line quality, guarantees that every meal will be a masterpiece! Specifications: 1060 sq. in. total cooking surface; 760 sq. in. primary, 300 sq. in. warming rack.